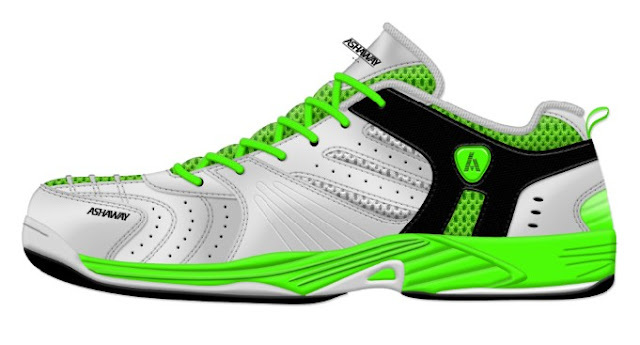 Compared to running shoes, badminton shoes have little lateral support. High levels of lateral support are useful for activities where lateral motion is undesirable and unexpected. Badminton, however, requires powerful lateral movements. A highly built-up lateral support will not be able to protect the foot in badminton; instead, it will encourage catastrophic collapse at the point where the shoe's support fails, and the player's ankles are not ready for the sudden loading, which can cause sprains. For this reason, players should choose badminton shoes rather than general trainers or running shoes, because proper badminton shoes will have a very thin sole, lower a person's centre of gravity, and therefore result in fewer injuries. Players should also ensure that they learn safe and proper foot work, with the knee and foot in alignment on all lunges. This is more than just a safety concern: proper footwork is also critical in order to move effectively around the court.